The third season of Netflix’s Daredevil will see a broken, beaten, and darker Matt Murdock facing down against Wilson Fisk once more. But when Matt does inevitably come face to face with his nemesis again, Fisk intends to be more than prepared. While Netflix’s corner of the Marvel Cinematic Universe has been busy weathering undead ninjas, chi warriors, and plots to harvest dragon blood, Fisk’s been chilling outing jail where he belongs. 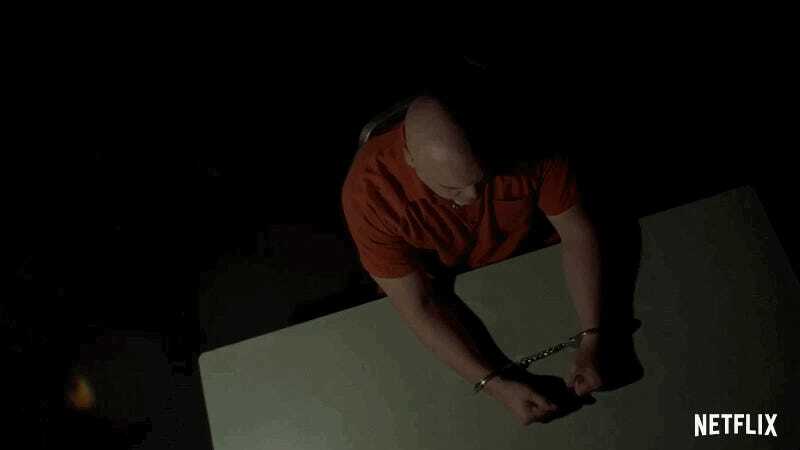 In the latest teaser for the show’s third season, it’s clear that for Fisk, his time incarcerated is all part of a much larger plan to regain the power he so desperately craves. Wilson Fisk will be back to knock some heads when Daredevil hits Netflix on October 19.